New build Shenyang J-11B Flanker B fighter. The missile under the wing is a Chinese clone of the Rafael Python 3 heatseeking missile. 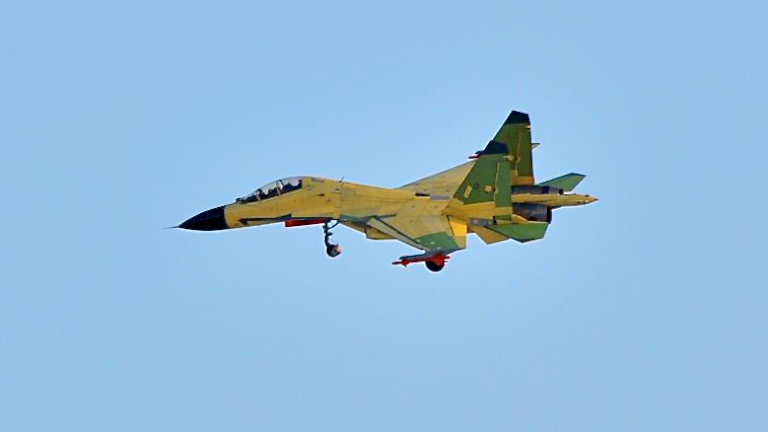 The J-11B aircraft are typically painted in different tactical camouflage to the J-11A, with a medium blue grey upper surface, light grey lower surface, black radome, while the half ellipse grey area on the nose is overpainted with uniform camouflage (Chinese internet images). 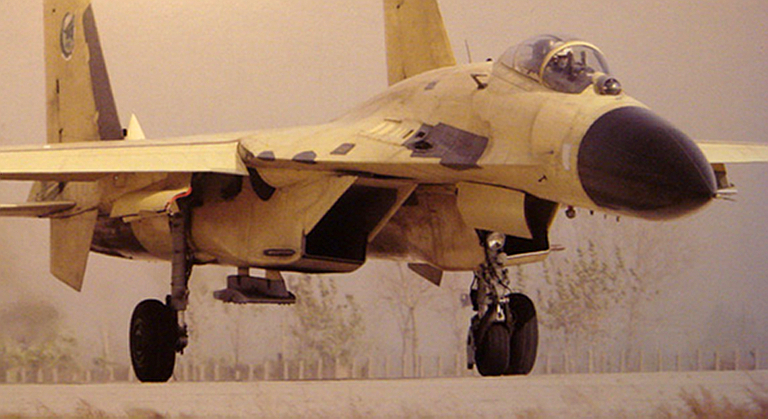 The controversial J-11B is an unauthorised derivative of the Sukhoi J-11A/Su-27SK, built by Shenyang in China. 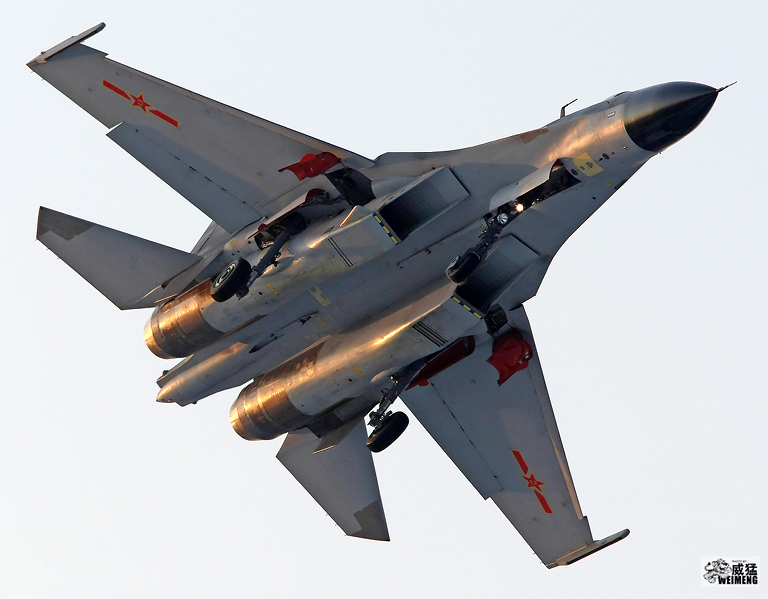 The aircraft has been the subject of an ongoing dispute between Beijing and Moscow which has caused the suspension of production of the second batch on indigenously manufactured legally licenced J-11A/Su-27SK. The J-11B is not an exact clone of the Su-27SK, despite the commonly held view this is so. The airframe and engines can be considered to be 'cloned' but the systems are mostly unique to this variant. 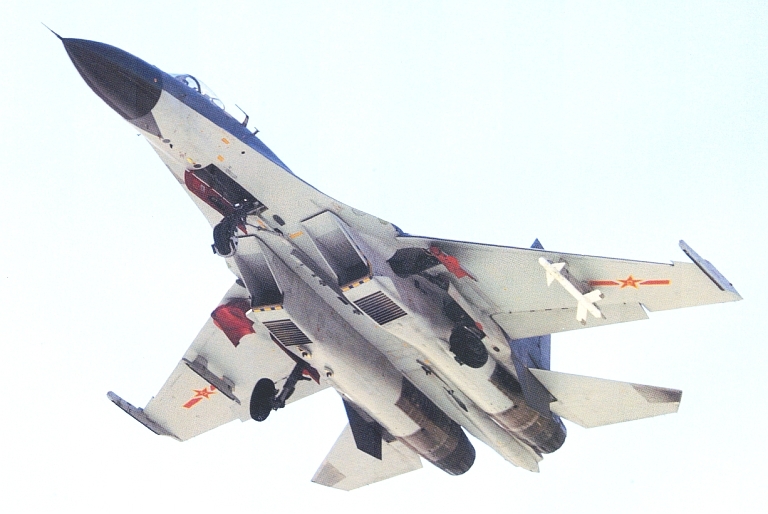 A Chinese IRST set located in the centreline position as with the OLS-27 in early Su-27S. A planar array multimode radar which resembles the Phazotron Zhuk-27 series. It includes an IFF interrogator array. An Onboard Oxygen Generator System (OBOGS). Only the most recent Russian variants have an OBOGS. 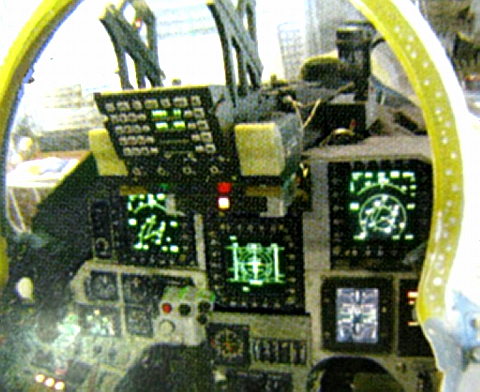 A unique glass cockpit design, with an asymmetric layout quite different from the Su-30MKK/MK2 and Su-27SMK. An optical MAWS system claimed to operate in the UV band. Dielectric panels on the stabilators not seen on any Russian variant. The differences between the J-11B, Su-27SK and Su-27SMK are sufficiently great that this must be considered a unique offshoot of the Flanker family of fighters, not a subtype of the baseline Su-27SK/J-11A. 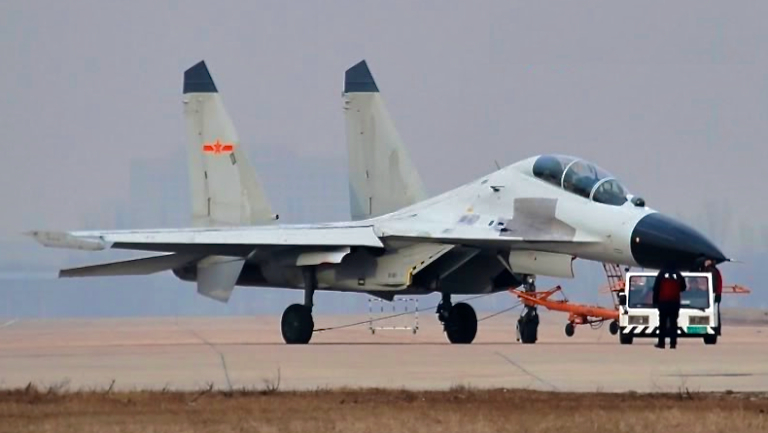 Chinese sources claim that the J-11B variant deployed with PLANAF units, such as the 22nd Fighter Regiment, 8th PLAN Fighter Division, is designated the J-11BH. In 2011 images emerged of the prototype of the J-11BS which is an analogue of the Su27UBK, with the PLANAF variant claimed to be the J-11BSH. Above, below: new build Shenyang J-11B Flanker B fighters in new PLA-AF two tone tactical camouflage. The upper aircraft is armed with a PL-8 Python 3 and PL-12 Sino-AMRAAM (courtesy Weimeng). New build Shenyang J-11B Flanker B fighter fitted with Chinese manufactured WS-10 engines rather than Russian supplied Al-31F (Chinese Internet). 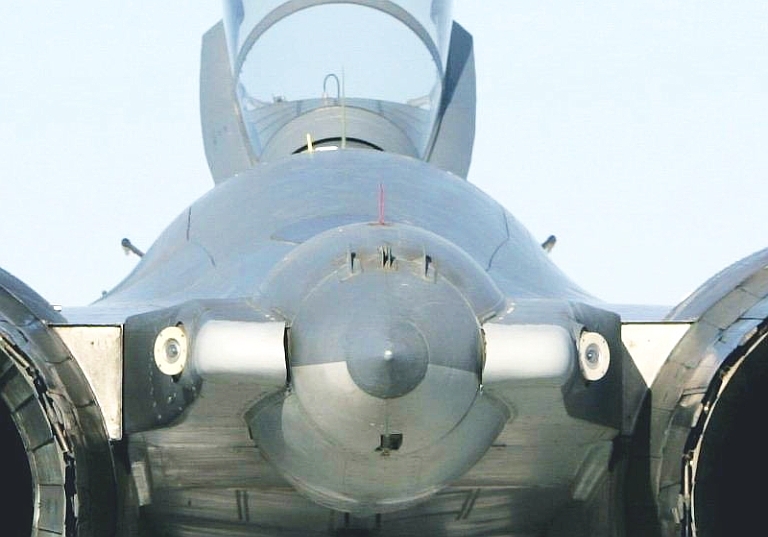 Optical Missile Approach Warning System apertures on the J-11B. J-11B prototype unpainted (courtesy Weimeng). J-11B unpainted. The missiles on the centreline station are the PL-12, a Chinese equivalent to the AMRAAM using the Agat active radar seeker designed for the R-77 / AA-12 Adder. Shenyang J-11BH attributed to the 22nd Fighter Regiment, 8th PLAN Fighter Division, in PLANAF light grey camouflage (via Chinese Internet). 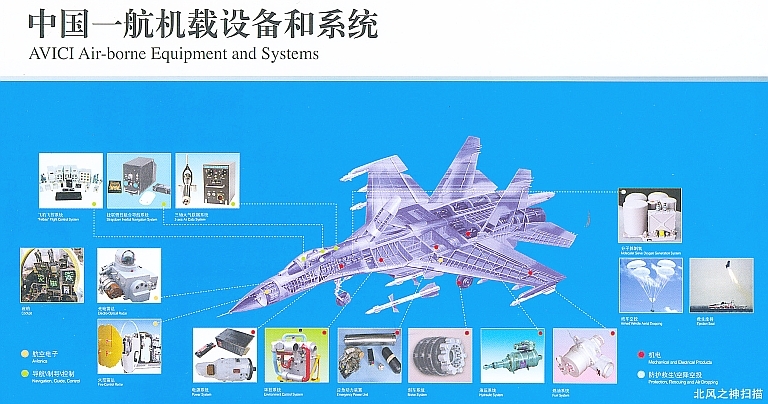 Above, below, unpainted J-11BS prototype. 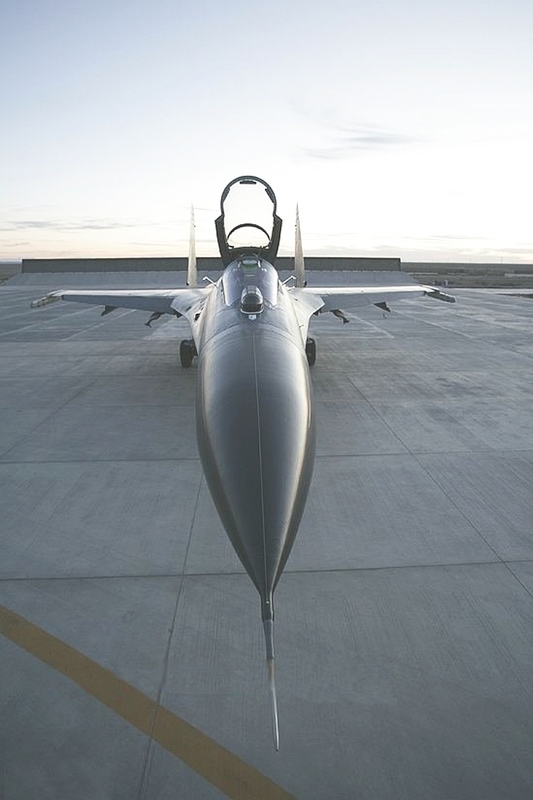 The aircraft employs features of the J-11B and Su-27UBK. 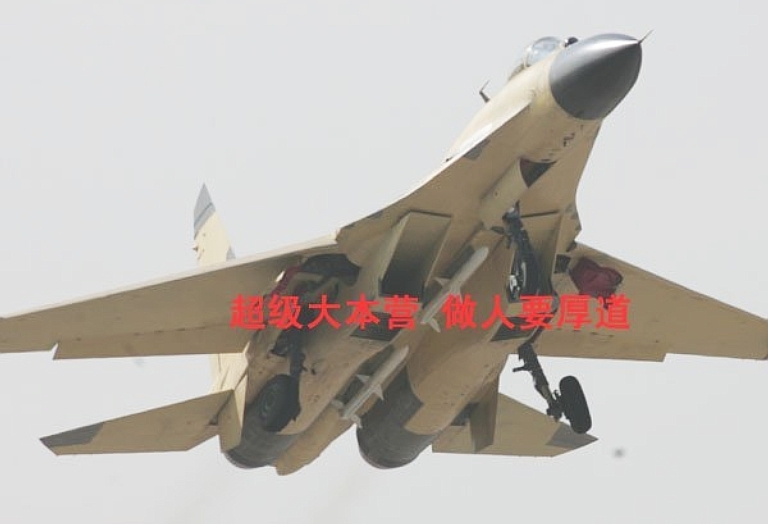 The optical MAWS employed on the J-11B is discernable (via Chinese Internet). A J-11BS aircraft in light grey camouflage typically employed on PLANAF types (courtesy Weimeng). Imagery Sources: Xinhua; MilitaryPhotos.net; other Internet sources.